Hello friends! I'm back today with another What I Ate In A Day post (you can see last week's food diary here). I'm vegan, so of course everything I'm sharing is free from any sort of animal products/by-products. Of course I drink a ton of water throughout the day - I try to get in at least 8 cups every day. This is a special What I Ate post because I'm sharing what I ate during my time in Tokyo last week! Most mornings we would buy packs of inari for breakfast, because it was so cheap and delicious! I've never had (or heard of) inari before going to Japan, but now I'm obsessed! 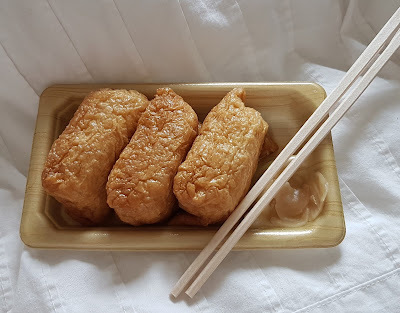 Inari are essentially deep fried tofu pockets filled with sushi rice, and they're great with some ginger on top. 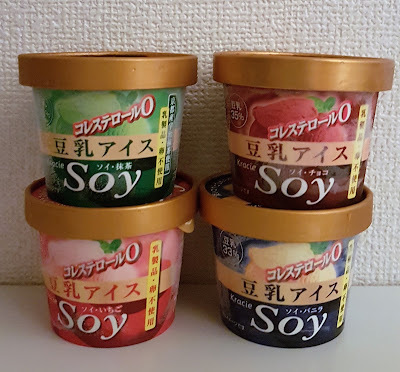 I was blown away by the huge variety of soy milk flavours in Japan! 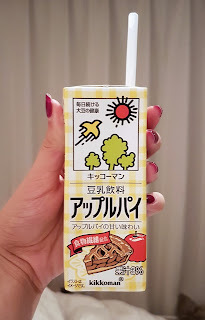 One of my favourites was this Kikkoman Apple Pie Soy Milk - it was so good! 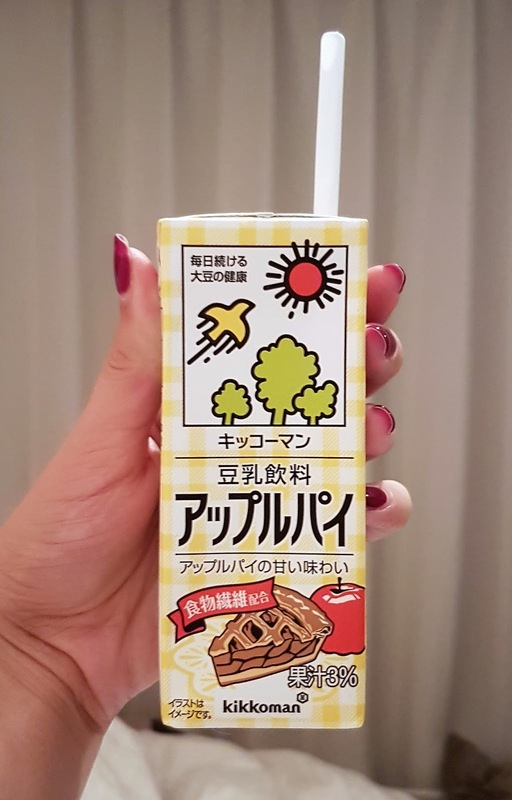 These Kikkoman soy milks are made with soybeans from Canada, which I thought was pretty cool. Kikkoman, can you please sell these delicious soy milks in Canada?! After visiting Tokyo Tower, I turned to Happy Cow to find something for lunch. I decided on Le Pain Quotidien, and I picked up one of their lentil bowls to eat in a nearby park. We knew that we had to check out T's Tantan while we were in Tokyo, and I'm so glad that we did! 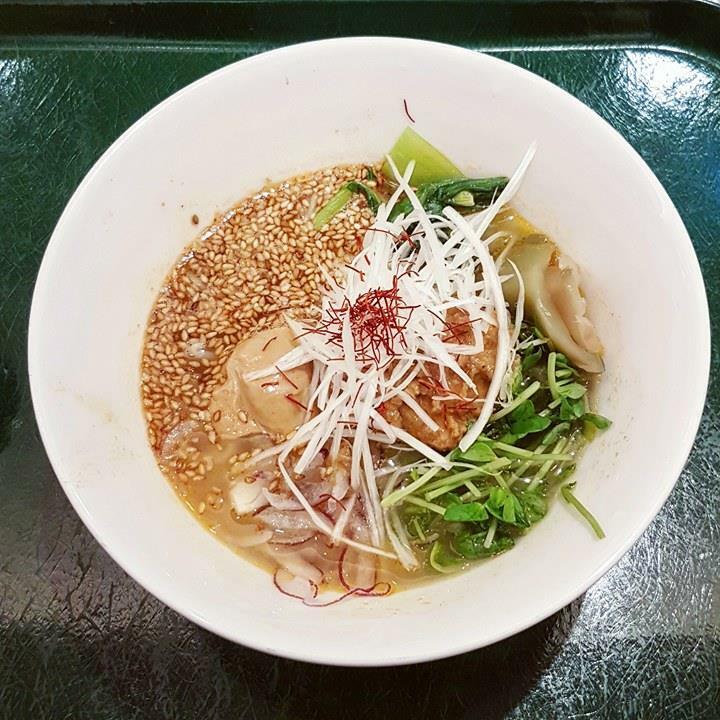 This ramen restaurant is located in Tokyo Station, and it can be a bit hard to find, but it's worth the potential struggle. I've never had real ramen before (just a ton of Mr. Noodle during university! ), and now I'm hooked. The serving sizes were really large, the broth was delicious, and the veggies were fresh. So that rounds out another vegan food diary! Tokyo, you treated me very well! I hope you'll check back next Tuesday to check out another food diary. What foods have you been loving lately?